Deal Categories: Gym Apparel.Stores: Under Armour. For a limited time, Under Armour is taking up to 50% OFF NFL Apparel + Free shipping. This is one of the best outlet promos we’ve seen this year on Under Armour. Use coupon offers19 during checkout for free shipping. For example, NFL Combine Authentic Print Fill, drop from $35 to $7.5. NFL Combine Authentic UA Tech Lockup, drop from $35 to $7.5. 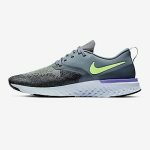 The price on the NikeCourt Air Zoom Resistance shoes, drops from $120 to $84.9 to $67.99 (2 colors). Coupon code ” SAVE20” cuts that to $47.99. This is the best total price we saw by $22. Deal Categories: Gym Apparel.Stores: Eastbay. Eastbay offers Nike LeBron Soldier XII shoes, in 2 colors, for $79.99 shipped. Deal Categories: Gym Apparel.Stores: Reebok. One day blowout sale at Reebok with Extra 50% OFF Sale items coupon – dropping the prices of over 1000 items to all-time best. 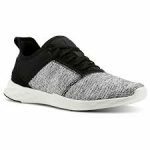 With prices for [Women Shoes] dropping to as low as $19.95 after coupon. Add the items to your cart and apply coupon ‘FAM‘ during checkout.